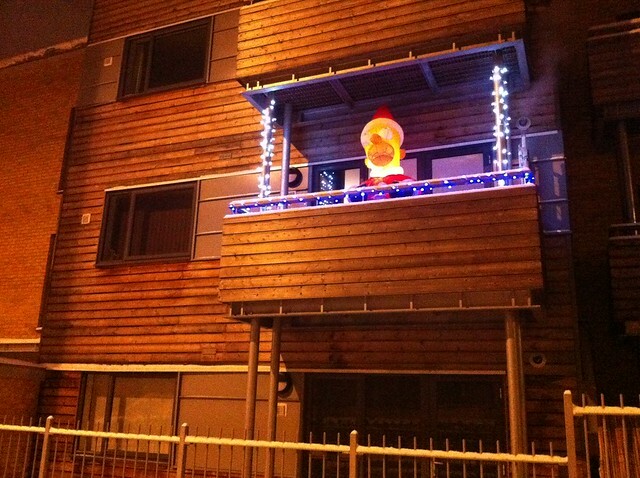 I think it’s Homer’s second or third Christmas on this Charlton Road balcony. 2nd, I fancy: have those places really been built long enough for three Christmases to be possible? I think it is the second, but I keep getting caught out by these things.